THE SUNDAY TIMES TOP 10 BESTSELLER. WINNER OF THE 2015 COSTA FIRST NOVEL AWARD. THE BRITISH BOOK AWARDS BOOK OF THE YEAR 2016. 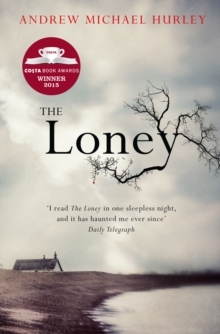 A brilliantly unsettling and atmospheric debut full of unnerving horror – ‘The Loney is not just good, it’s great. It’s an amazing piece of fiction’ Stephen King Two brothers. One mute, the other his lifelong protector. Year after year, their family visits the same sacred shrine on a desolate strip of coastline known as the Loney, in desperate hope of a cure. In the long hours of waiting, the boys are left alone. And they cannot resist the causeway revealed with every turn of the treacherous tide, the old house they glimpse at its end …Many years on, Hanny is a grown man no longer in need of his brother’s care.